For those of you thinking, "It's just that 'Titan' thing," Blizzard has stated that this new game is not its rumored next-gen MMO. "We've been working on a little something, different from our other games, and we're pleased to invite you to be the first to see it. It's not a sequel, expansion, or that rumored next-gen MMO, but it's something we're excited for you to get your hands on," Blizzard said in an invitation to come and see something new and exciting at this year's PAX East in Boston, which will take place between March 22 and 24. Blizzard had previously teased a surprise for PAX East, but until now it had been assumed to simply be a playable version of Diablo III for consoles. This latest confirmation of a brand-new game opens up the floor to all kinds of wild speculation. Blizzard hasn't gone so far as to say that it's a new IP, so it may just be a new game set in one of its current universes. This is a strange move for Blizzard, which usually does all of its big reveals at its own BlizzCon. This year's BlizzCon is scheduled to be held on November 8 - 9, a full six months after PAX East. Perhaps Blizzard plans to announce the game at PAX East, and have a polished, playable version ready by BlizzCon? A full retail version of Blizzard All-Stars (previously Blizzard DOTA) to compete with the phenomenal success of League of Legends and DOTA 2 seems to fit the bill perfectly. Starcraft: Ghost, which was previously shelved in favor of World of Warcraft, is another plausible option, especially considering Blizzard's recent push to support consoles. But, neither of these games are completely "new," having been announced in some way or form at some time. 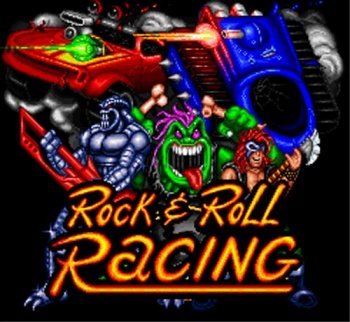 Considering Blizzard's new focus on consoles, and the fact that the game will be something completely new that no-one is expecting, I'm pretty sure we are looking at a HD PS4 reboot of Rock N' Roll Racing.